Our top priority. Every single day. Siemens’ MindSphere Application Center for Rail uses complex streams of mobility-related data for predictive maintenance and optimized train operations. Trivium is a partner for application development for the Railigent Application suite. 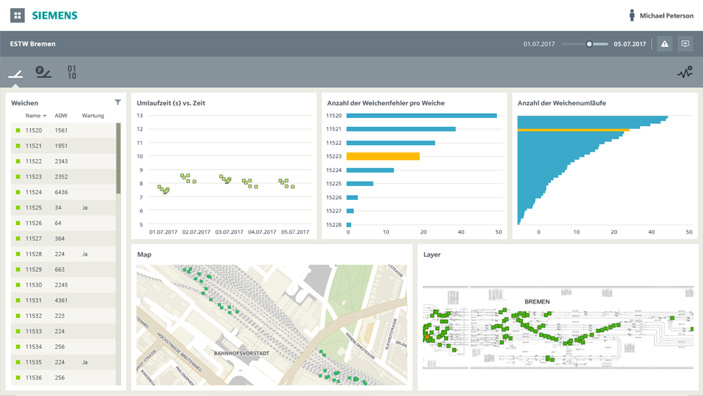 The dashboard applications provide intuitive visual analytics of information gathered and inferred from historical data of switches and other parts of the rail infrastructure. The solutions are AWS-Cloud based and use various techniques and open-source frameworks for analysis and visualization of complex data. Leica Geosystems is a world market leader in the area of measurement and survey systems. Trivium has supported the development of highly specialized applications for mobile devices that control theodolites, total stations and GPS antennae. The partnership also extends to the development of applications for machine control and autonomous operation of construction equipment, paving machines, road rollers, etc. The software has been built on C++ and Qt, and works across multiple hardware platforms. Trivium provides consulting and software development services to Deutsche Telekom across multiple domains. 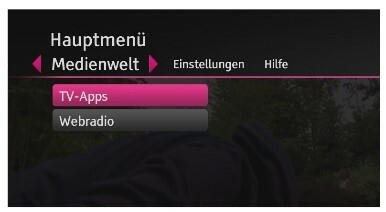 Trivium has been a consulting partner of Deutsche Telekom right from the inception of the T-Home set of products, covering project management, software architecture and requirements management for the IPTV project. Ongoing engagements include the development of a Service Availability Reporting and Diagnosis system for the provisioning and maintenance processes of T-Home products (IPTV, VoIP, SAT) as well as a Web Radio Management application. The software is primarily developed on the Java / Oracle stack. Trivium is a software development partner realizing parts of an access solution of Caterpillar Energy Solutions’ plant control system. This provides Caterpillar customers with the advantages of remote access, monitoring and maintenance of their plants in a secure manner via the internet. 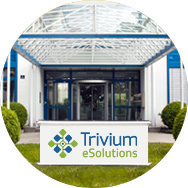 The solution being developed by Trivium manages plant users and authorization levels and enables interaction with the control system through a client available for on-site access and remotely from multiple end devices, incl. laptops and mobile devices. Trivium provides business analysis and consulting services for eBase, a member bank of the Commerzbank Group, for the further development of a B2B portal for account management and investment services. The online portal with a complex business logic consolidates several legacy applications. In short release cycles, new digital services and financial products are integrated and extended in the portal, which is used by financial consultants and end customers. Trivium supports the definition of processes, architecture and documentation of the portal as well as requirements engineering. 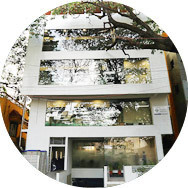 In addition, Trivium plays a coordinating role in project and requirements management. Trivium has developed a fraud protection system for online transactions for Telecash, a leading provider of payment solutions. The solution enables the automated detection of fraud within milliseconds for payments with bank cards and at Points of Sale in retail outlets or in the internet. The authorization process calculates the probability of fraud and determines whether a signature-based or pin-based entry is required. The system, supported and maintained be Trivium, is available 24×7 and is able to handle peaks in transaction volumes, for example during the holiday season. The software has been built with C++ technology. Technology to Business (TTB) is responsible for “outside-in” innovation for Siemens, seeking out the latest technology innovations from startup companies, individual inventors, universities and research labs. Trivium has supported Siemens TTB in developing a structured framework for the analysis and management of these partnerships. The project will help optimize internal processes within Siemens TTB. Digital chip cards contain highly sensitive personal data required, e.g. for banking or health insurance purposes. In various projects, Trivium has built and supported the process of personalization, security and production of banking and health insurance cards. In addition, Trivium has developed a customizable card management solution which is available to manage production and administration processes. The system was built with Java and C++ technology. Trivium is supporting Bittner + Krull, a software company focused on the energy and utilities market, to develop a Windows app for mobile workforce management. The app will be a part of the comprehensive Argos product and allows service technicians to plan their route and execute service tasks, guiding the service engineer with time-optimized route maps to reduce travel time. The app uses a broad set of device functionality to capture a rich set of data in the field and integrates seamlessly with the workforce management back-end. Trivium is a development partner for Desk’s innovative solution, Tyreline, which provides specific ERP-enhancements for the tyre distribution and retail industry. 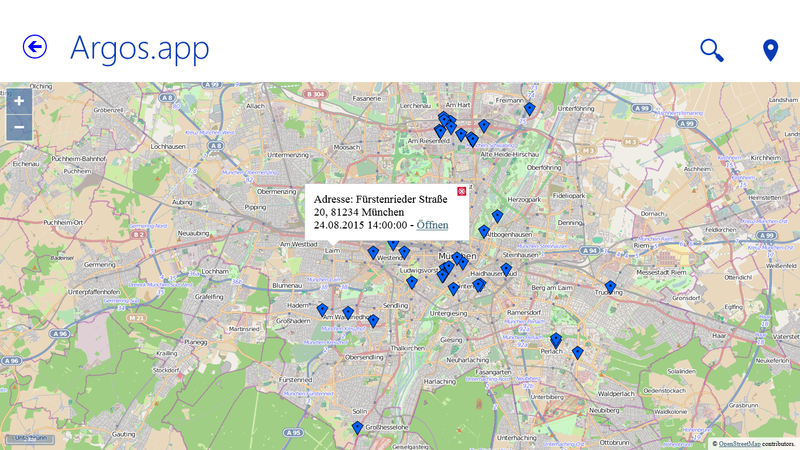 The solution provides a middleware between point of sale for tyre sales/service outlets and customers, e.g. car leasing companies. In addition, Trivium has helped develop a powerful pricing engine for tyre sales and distribution and integrated it into a B2B platform. The software was developed on the .NET platform. Trivium has developed a software product which is helping Water Services Trust Fund (WSTF) of Kenya manage its development projects funded by the international funding agencies. The project is supported by the GIZ (Gesellschaft für Internationale Zusammenarbeit). The software aims to provide more than 1.4 million people with sustainable access to safe water and 400,000 people with access to household sanitation facilities. Our solution, developed on .NET platform, has become a key tool for WSTF to manage its project proposals and ongoing projects. The tool tracks progress, accounts for funds and evaluates the impact of these projects on the served population, based on regions and various socio-economic parameters. The system is also being used to monitor the progress of multiple social projects making use of GPS, mobile and imaging technologies at remote project sites. For several financial service providers, Trivium has provided secure lettershop systems (SSL) for the secure administration, process control and printing of PIN and TAN print jobs. This includes modules for flexible layout, communication with other systems and audit-proof control of the entire process, from the generation of data to postal dispatch. The system was built with Java and C++ technology. 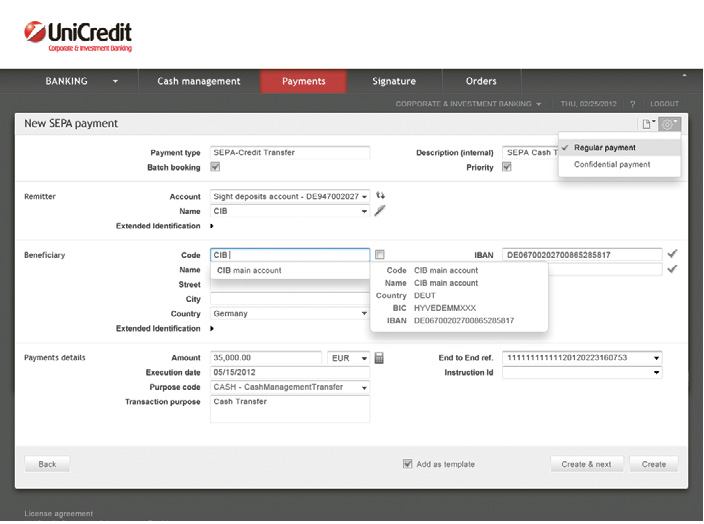 Giesecke & Devrient produces personalized credit cards, e.g. for banks. Trivium was responsible for project management, software architecture and conception of a personalization system for card production in the context of a new production center in the USA. This included integration of new production machines, development of the software and coordination of suppliers and customers. The software has been built C++ and Java technology. Get in touch. We’re close by.